Remember those Sun-Maid Raisins we enjoyed as kids? They supply energy to your muscles during exercise. As a sports nutritionist, I’m always looking for wholesome snacks that athletes can easily carry with them to use for an energy boost. Whether it’s for the golf course, pool deck, or playing field I have a favorite “go to” snack that’s delicious, nutritious and improves performance… Have a guess? Remember that little red box of raisins mom used to put in our lunchbox as a kid? You know, the one with the woman in a red bonnet holding grapes that will soon be “maid” into raisins by the sun? 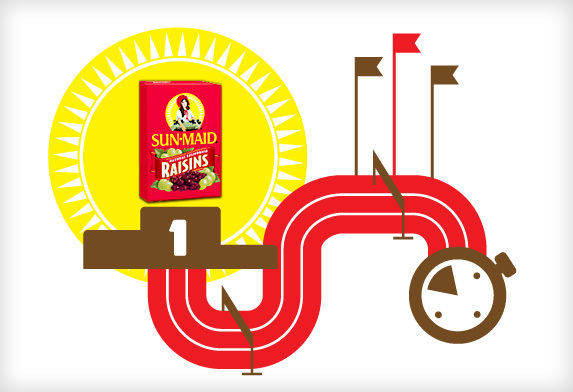 Yep, those Sun-Maid raisins we enjoyed as kids can be used to supply energy to working muscles during exercise. When it comes to running performance recent studies have shown that raisins are as good as commercial sports products! This is great news for price-conscious and health conscious runners who want a wholesome energy boost when training. Here’s what the science says. In one study (Journal of the International Society of Sports Nutrition: Natural verses commercial carbohydrate supplementation and endurance running performance), male runners (average age = 30) sweat it out at 75% of their VO2 max for 80 minutes on the treadmill followed by a 5 km timed trial. 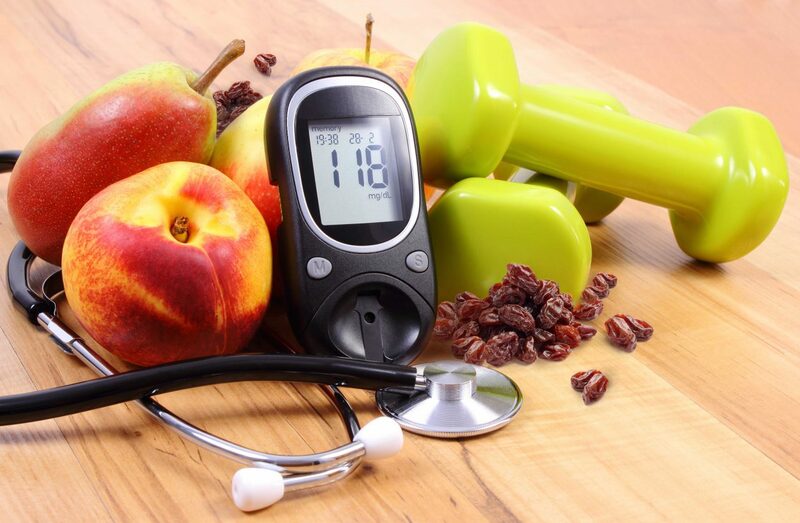 Carbohydrate sources were given to them before exercise and every 20 minutes during exercise. The runners were divided into three groups and each group received a different energy source: group 1 received raisins, group 2 received commercial sport chews and group 3 received water. The scientists found that sport chews and raisins led to more energy compared to just water (note to self: no long distance training on an empty stomach!). Most interesting was that running performance was the same for the group who ate the raisins compared to the group who ate the chews. It makes sense that if they both have the same impact on running performance, why not choose real food instead of a synthetic product? Raisins use a greater amount of energy from fat vs. carbohydrates, so you’ll have more stored energy down the stretch. Another key finding was that the runners who ate the raisins used a greater amount of energy from fat vs. carbohydrates compared to the sport chews. This may be due to the natural fiber content of raisins and the lower glycemic index of raisins. The performance benefit for runners: utilization of fat allows muscle glycogen to be spared during the first part of a run so it’s available down the stretch. Never underestimate the running power of raisins! Raisins are an all-natural, dried-by-the-sun, no-added sugar food that you can feel healthy about eating. Raisins are fat free, cholesterol free, and packed with antioxidants to protect the most important muscle in the body—your heart! 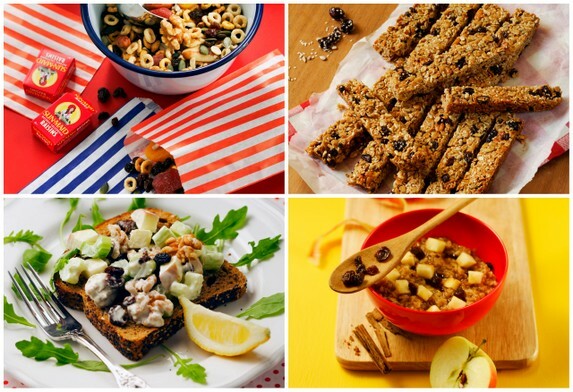 Just ¼ cup of raisins provides you with one serving of fruit and 31 grams of carbohydrates. Other benefits: Raisins are a source of flavonoids and antioxidants, which can help reduce the impact of free radicals on your body’s aging and development of disease. Raisins are one of the best sources of the mineral boron, which supports bone health. And a compound in raisins, known as fructans, is a pre-biotic that helps with digestive health. 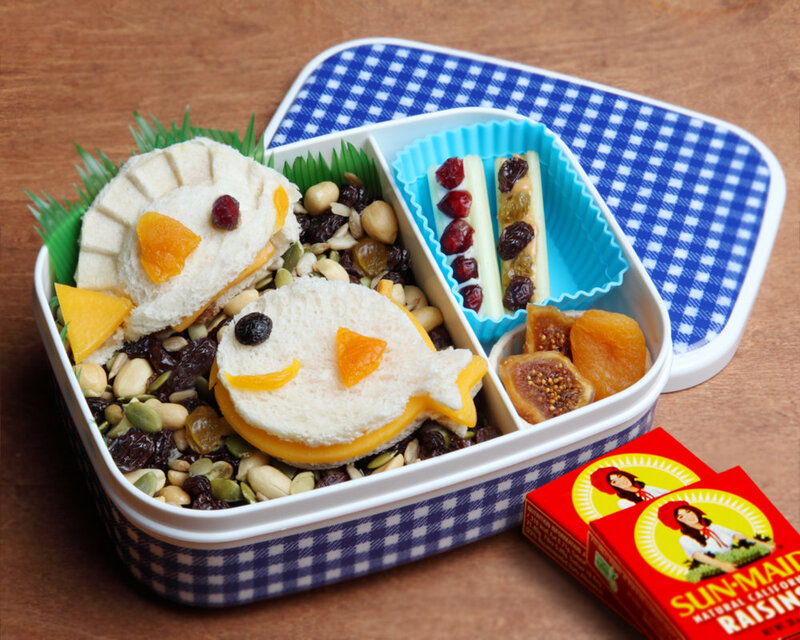 Since that little red box of sunshine you carried in your lunchbox as a child is just as convenient as a modern day chew with similar performance effects—not to mention the added nutritional boost that comes along with them—why not give raisins a try as part of your running routine?